Me & a buch of mates wandered into a gay bar by accident once when I was a teenager. Thank goodness it wasn’t a plie bar. I prefer a Nanaimo Bar. They should have known when they ballet parked. 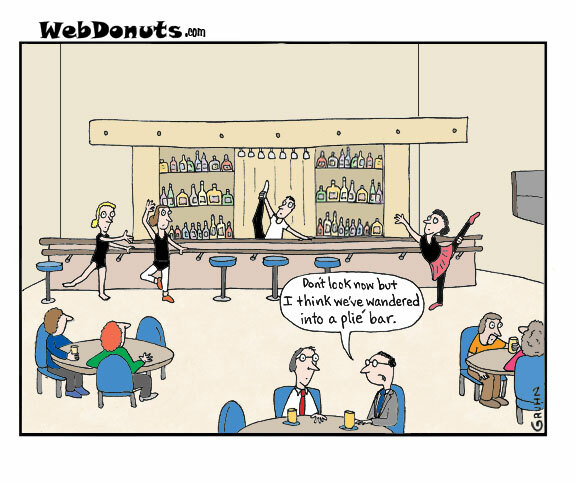 They didn’t serve drinks at ours when I took ballet.